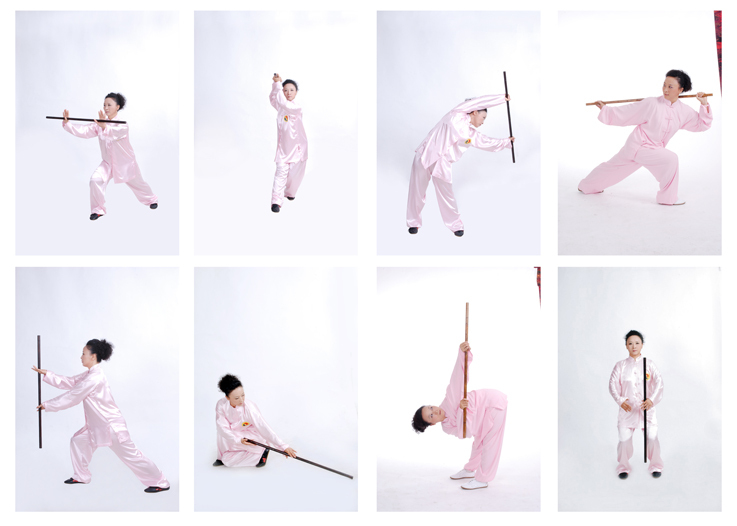 Mace is a type of apparatus in traditional Chinese regimen, and it has long been an apparatus for physical exercise. Health Qigong·Tai Ji Yang Sheng Zhang is based on the ideas of “Taiji.” -unity of Yin and Yang·Having inherited the essence of traditional mace exercises, it is an exercise with apparatus-guided limb movements and the supporting respiration and mind regulations as the major approaches. Health Qigong·Tai Ji Yang Sheng Zhang can be either practiced as a whole or divided into individual routines or combinations of multiple routines. The movements of the entire exercise are gentle, slow, wellbalanced between motion and quiescence, graceful, wellcoordinated with mind and Qi, and suitable for people of different physical conditions. By long-term exercise, it can improve body flexibility and balance ability, the cardiovascular system, and the phychological state.